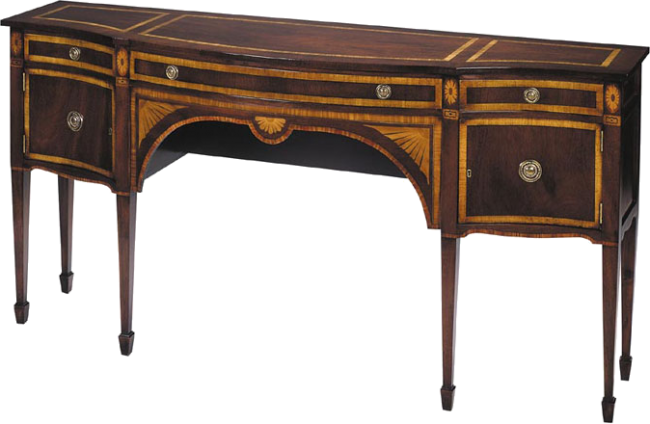 Serpentine shaped sideboard with Satinwood, Rosewood, and Tulipwood inlays. Two short drawers and one long drawer. Cabinets left and right side. Square tapered legs terminating in spade feet. Antiqued solid brass hardware. Pictured in Mahogany.